I LOVE your Hubby's breakfast tray! I am a NIGHT OWL "Not" a morning person! Although if I have places to go and people to meet "I'M UP"!!! 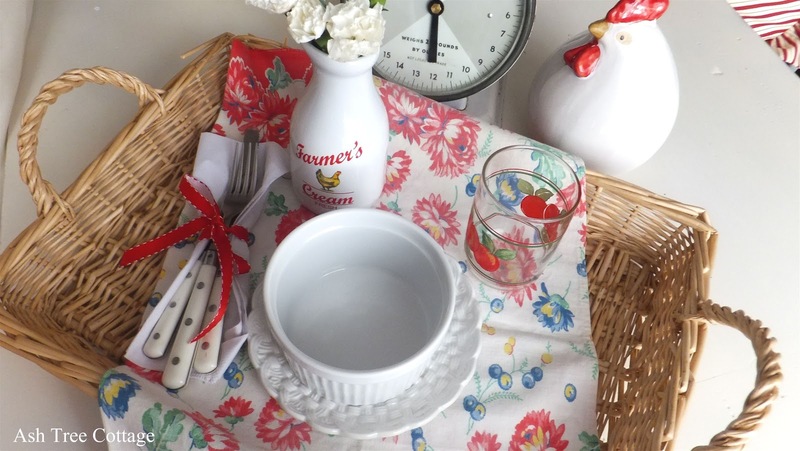 My Hubby is like yours... "LOVE the Red and White", it looks SO FANTASTIC with the vintage tea towel! What a pretty breakfast tray. I do get up early, but I like to take my time in my jammies in the morning, eating my breakfast, drinking me tea, checking all on the computer and watching Bob Newhart! I guess that makes me an early morning, multi-tasker! lol Bentley, if you were here, you could set on my lap, while Aunt Robin does all that! What a pretty breakfast tray! I would wake up early & happy every morning if I was greeting with this! Cute, cute, cute! I have a vintage tablecloth very similar to yours. Uh oh! I think you've inspired me.....I might just have to put together something and credit your inspiration! Thanks! What a fun breakfast tray! I am not a rise and shine kind of gal either. Takes me awhile to wake up but this would put me in the mood for a yummy breakfast! Beautiful! 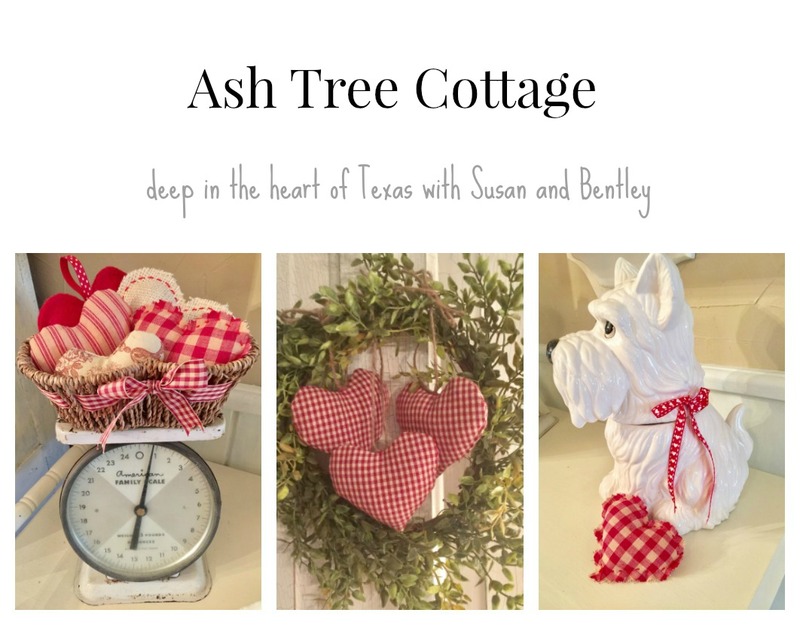 Lovely blog, I'm a new follower! Thanks for linking to Time Travel Thursday this week. It's always fun to have you join. 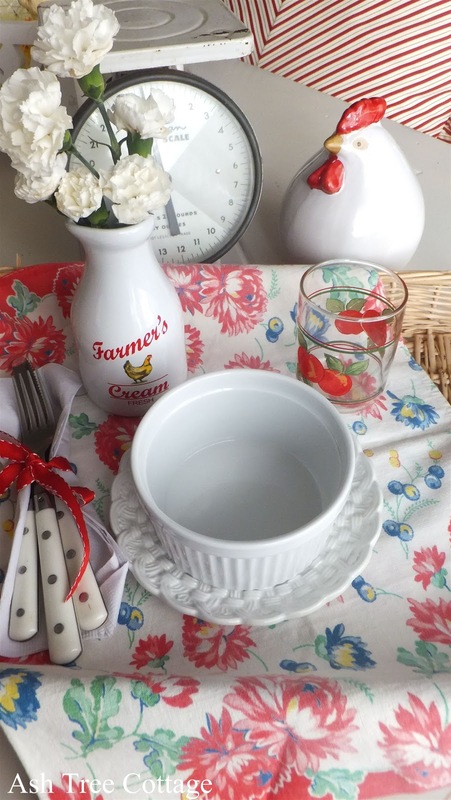 I love your vintage tablescape. Can I join you? You always do such a great job! 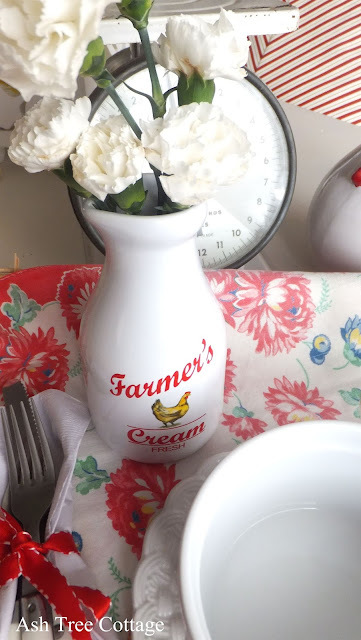 I have that same sweet little creamer. I of course love all the red and white. So bright and cheery. so cute! love all the color. i am not a morning person other...not at all...i'm a night owl! What a pretty tray! I am also slow to wake up. I usually wake up early, but my husband knows not to talk to me too much for at least an hour! I am definitely not a morning person. I do have my breakfast but never on a tray like this. all I can do to get his lunch made and a breakfast bar..LOL. I will admit to being a cheerful early riser, too, like your husband. I hit the floor runnin'! There's just something so great about the morning! No phones ringing, no outside world to think about (yet!). It's wonderful! I would love it if I had a cheery breakfast tray like this waiting for me each morning. It would make the day even more special!!! 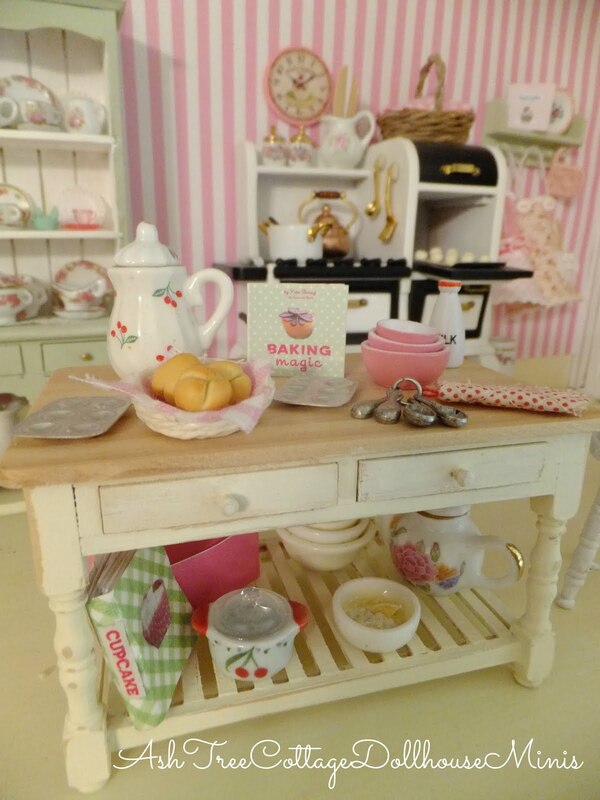 Your breakfast tray vignette is adorable. Love that vintage tea towel. Just darling Susan! I love this vintage display, just so cute and happy. Thanks for finding me. It has been a process, but I am getting there slowly but surely! Have a great weekend. Beautiful! I'm not a morning person either but I do love making breakfast. What a sweet way to treat yourself and your man! What a pretty breakfast tray! So bright and cheery!